Segways aren’t for everyone. They require coordination, the ability to stand for the duration of the trip, and enough agility to go up and down stairs without a handrail. That said, Segways are fun. You may not want to keep one at home, but why not tour Savannah by Segway? Picture yourself gliding down this path on a Segway. Allow yourself thirty minutes to watch a safety video, get fitted for a helmet, and become acquainted with the machine. That’s all you need before spending an hour or a day on a Segway in Savannah. This can be a fun addition to a stay at one of our Savannah Vacation Homes. 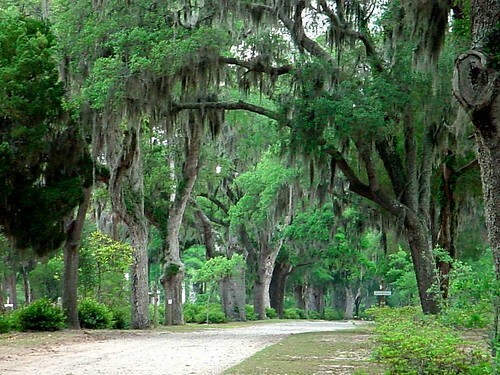 Take a guided Segway tour of Bonaventure Cemetery or simply rent one and explore town on your own. Segway tours can be incorporated into a Corporate Retreat (team building exercise!) or a family reunion. Just imagine your boss or Cousin Bob on a Segway. Whee! Most of us probably won’t incorporate Segways into our daily routine. That makes them that much more fun during vacations. Additional information may be found at Segway of Savannah. Learn more about our Savannah lodging at Savannah Vacation Homes.